This is one pair of crazy ladies. 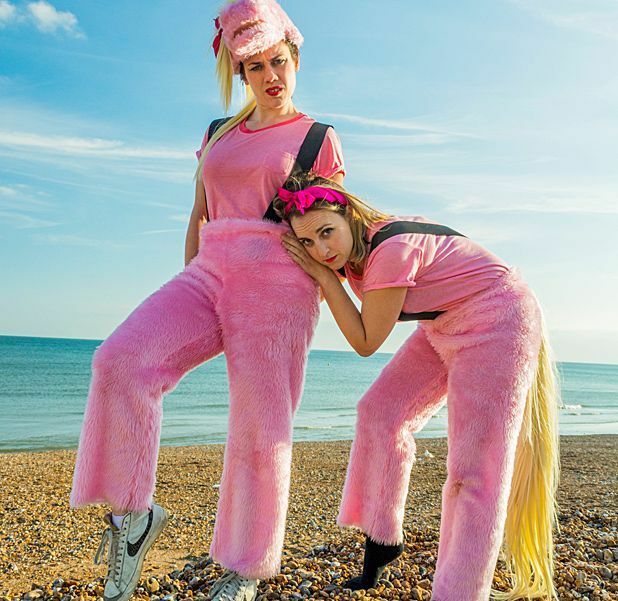 Each playing one half of pink pony Eamonn, LetLuce tell the tale of how, finding himself unemployed, he ends up being punched by a nun in a field and sold into a circus that is somewhat surprisingly run by Ian McShane. Show Pony is a shambling oddity and completely nonsensical yet an utter delight to watch. The narrative runs through a series of apparently random scenes and characters, including a mouse with the voice of an African-American, while the back of the horse has a thick Brummie accent for no apparent reason. The influence of the Mighty Boosh is clear. There are plenty of nice lo-fi techniques employed here too; when Eamonn runs away to London, by swimming across the ocean, someone in the audience is adorned with a head torch to become the moon and then is promptly serenaded, a cappella, by the pair. The only problem is it would be far better if they had some semblance of a stage as some of the nonsense is lost for those sitting towards the back of the room. Also they would benefit from being mic-ed up as the whole show is too quiet, sapping the energy somewhat. That said, there are too many moments of total brilliance for it not to be a real enjoyment. The Mash House, 226 0000, until 24 Aug, 3.40pm, free.